For decades, an apocalypse seemed imminent, staved off only by the certainty that if one side launched these missiles the other would launch an equally catastrophic counterstrike. This method of avoiding all-out nuclear warfare was called “Deterrence,” a policy of Mutually Assured Destruction (MAD). Still, though neither side actively wanted to plunge the world into a nuclear wasteland, the possibility of war by misjudgment or mistake meant fears could never be entirely assuaged. 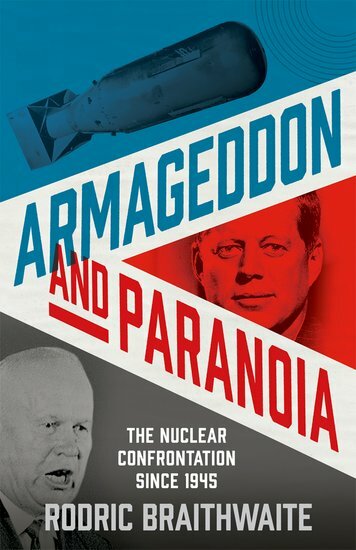 Armageddon and Paranoia: The Nuclear Confrontation since 1945 unfolds the full history of nuclear weapons that began with the arms race between the United States and the Soviet Union and now extends worldwide. Robert Braithwaite offers this important and comprehensive history at a time when tensions surrounding nuclear armament have begun mounting once more. How did the world get itself into such a long-running mess? Who was to blame? Was it the scientists? The soldiers and the officials? The politicians? That was not quite fair. Scientists such as Leo Szilard spent much of their lives warning passionately against nuclear weapons and their use. The Nobel Prize winner James Franck argued against dropping the bomb on a Japanese city. 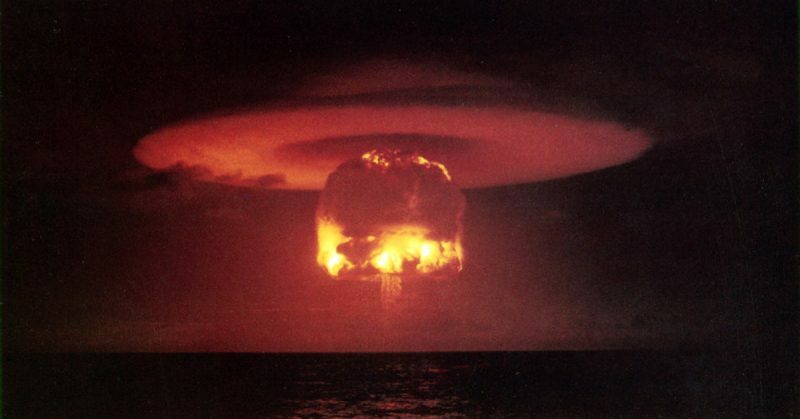 Isidor Rabi and Enrico Fermi called the hydrogen bomb ‘an evil thing considered in any light’. In 1995 Hans Bethe appealed to ‘all scientists in all countries to cease and desist from work creating, developing, improving, manufacturing further nuclear weapons’, though few responded to his call. Soviet scientists had much the same scruples as their American colleagues, though they felt that for them the moral issue was less stark. It was not they who had opened Pandora’s box; nor was it their country that had used the weapon in war. Some felt that Truman was guilty of a major war crime. Others accepted that his responsibility for the lives of America’s fighting men left him no option. Either way, the greater part of the moral burden fell on the Americans. But for the most part, the Soviet scientists too were haunted. Evgeny Zavoisky, who worked at Arzamas-16 in the early years, was flummoxed when his daughter eventually asked him, ‘How could you do it?’ He could only reply, ‘I’ve been waiting the whole of my life for you to ask that question. All I can say is that I fell right into the soup.’ We do not know if his daughter was satisfied with this unilluminating response. The above excerpt has been adapted from Armageddon and Paranoia: The Nuclear Confrontation since 1945 by Rodric Braithwaite. Copyright © OUP 2018 and published by Oxford University Press. All rights reserved. Rodric Braithwaite is former British Ambassador to the Soviet Union and Russian Federation. He is the author of Moscow 1941: A City and Its People at War, Afgantsy: The Russians in Afghanistan, and Armageddon and Paranoia: The Nuclear Confrontation since 1945.